When I saw Laura's challenge, I smiled. Everyone knows I love curvy, voluptuous lines. 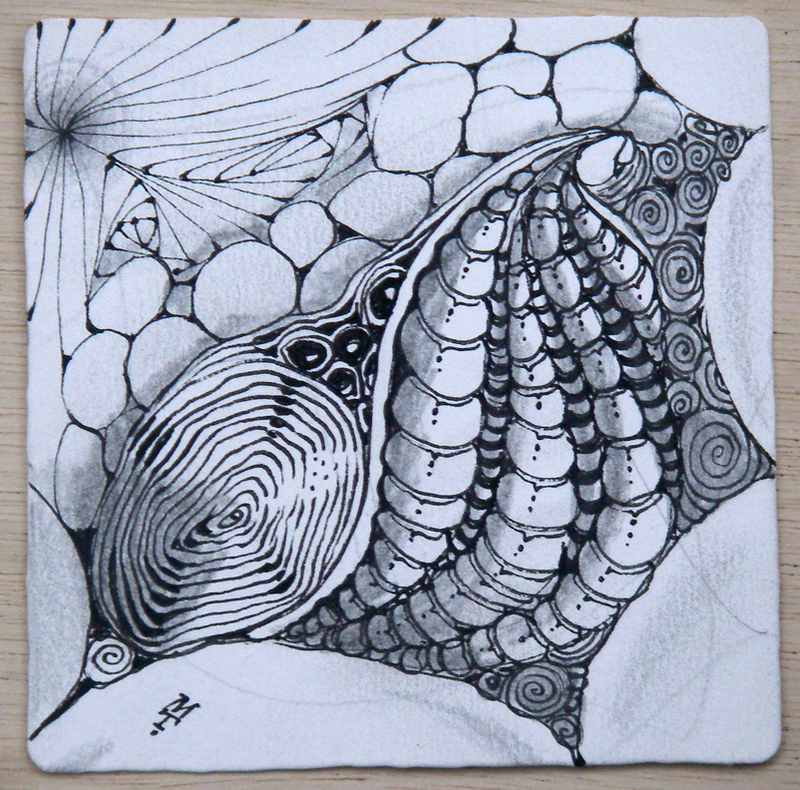 I like to think of my Zentangles as "Rubenesque." This just feeds my soul. As for the word, "Orbs" . . . we wanted a word that described this shape's essence (rather than "circle") . . . so that everyone would understand this shape's beauty is not its circular perfection, but its organic, full, nourishing, yielding and luscious roundness. Mmmm. Thanks so much, Laura. 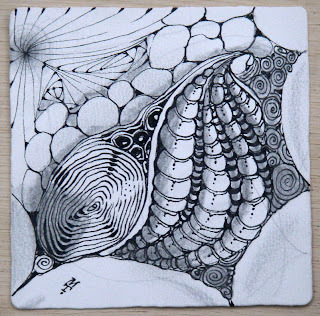 Your personal touch and enthusiasm are inspiring some awesome Zentangle creations. 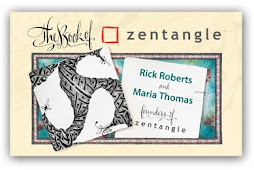 This zentangle really has a delicious organic feel, somewhat nourishing and comforting. It's really beautiful. Maria, thanks, stress flies out the window when I remember your words about drawing orbs, to just make them beautiful and you sure have done that! Ahh, a beautifully woven "orb" web! Love it! Brilliant!!! This one is so calm and gentle. Love it! dispersed sideway orbs allowing a beautiful peak into your zendelicious world! it has so much depth...love the shading! Even those Betweed lines in the top left corner have a 'round' feeling to them. What you can do with the basic strokes is a constant inspiration!! ♥ it, Maria.